Real estate in Southern California is always a great asset and industry to work in. 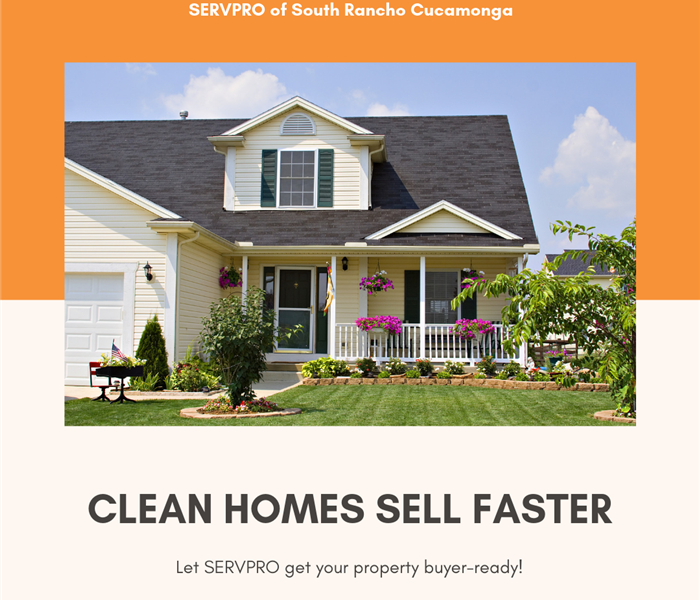 From maintaining property value to making your home buyer ready SERVPRO of South Rancho Cucamonga can help. Ensuring ducts are clean will eliminate circulating odors. Correcting water leaks, remove any standing water and installing a solid ventilation system will help prevent any potential for mold. Replacing any wet or visibly moldy insulation materials is essential. You can pass more inspections with the help of our professionals at SERVPRO of South Rancho Cucamonga. Whether the problem is a water stain on a hardwood floor or a mildew smell we can reassure you that your property will be in top show condition and ready to sell when you call SERVPRO of South Rancho Cucamonga.